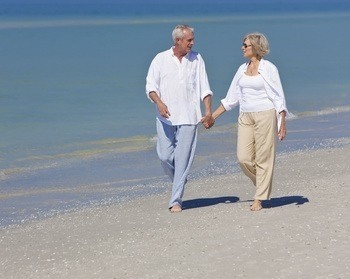 When time comes to make the transition between working life and retirement one aims for a better quality of life. Greece is considered to be one of the more popular retirement destinations in Mediterranean Europe, as well as one of the most affordable options in the “western” half of Europe (article by Grey Spirit in “Retire Abroad”). Crete specifically can offer a life of significant quality, away from the major urban centers, at a relatively low cost of living. There, one can lead a simple, safe, and relaxed lifestyle, where tradition blends in with modern life and where one can also enjoy one of the tastiest and healthiest diets in Europe, at reasonable prices. It is among the most alluring realms in the Mediterranean, providing a variety of landscapes quite unexpected for such a small island, as well as clean seas not only for swimming, but also snorkeling, scuba diving, water skiing, windsurfing, and sailing (many of the Cretan beaches have been awarded the blue flag under the Blue Flags of Europe Program). It is one of life’s small pleasures to be able to sit outside for dinner in spring, until long hours without the need of woollies. Crete, being so south, is blessed with a very mild climate. Warm summers, mild winters and little rain provide the perfect setting for an all year round stay. Even more, an average of four to five months of heating needs, reassure an enormous reduction in heating bills. Finally, the sun shines a lot on this land, all year long. On the other hand, for those who seek to enjoy the mountains, Crete also offers unique opportunities. One can find some of the best trekking paths in Europe, for exploration on foot or mountain bike, can go hiking in the wilderness and enjoy the land’s fabulous treasure of flora and fauna, bird watching, and even can get involved with other trekking activities. Mountain and sea are so near to each other in Crete, offering the combined joys of both, especially to those that have plenty of time to enjoy them. As for healthcare services, National Healthcare is available to the entire Greek population as well as foreign citizens but also the retired expatriates living in Greece can take advantage of private health care services, which generally are of a very high standard. And if you are a citizen of the EU, extra benefits apply. Then, last but not least, there is the fact that prices of holiday properties have greatly decreased the last three years, due to the sovereign debt crisis, making the Greek housing market by far a “buyer’s market”. There are quite a lot holiday properties on sale which are considered to be of good value for money, as well as sustainable investments. Moving to Crete is moving to a friendly environment, where English is widely spoken. It is a certain fact that you will find a fellow countryman who also lives there. The Cretan people due to the island’s toutistic nature feel close to the foreigners. Actually, the Greek word for “foreigner” is the same as “guest”, and that is how they are normally going to treat you, exhibiting friendliness and hospitality. So, go on, research the possibility of retiring to Crete. You might find out that Crete is the place you deserve to retire.